Have you ever been walking along, and you stop and notice something, and can’t work out whether it’s always been there and you’ve just not registered it before, or whether it’s something completely new? Well James spotted The Leeds Library, nestled in between The Co-Operative Bank and Paperchase on Commercial Street, a few months ago and we couldn’t decide whether we just hadn’t clocked it before, or if perhaps the exterior had changed to be more prominent, or if it was completely new. Ever since noticing the sign above the doorway, I’d been meaning to visit the library but, as with a lot of things, never got round to it. I had the perfect opportunity earlier this week however, after realising that there was a literature event, organised by Leeds Beckett, which my friend’s sister and published author Naomi Booth was speaking at. 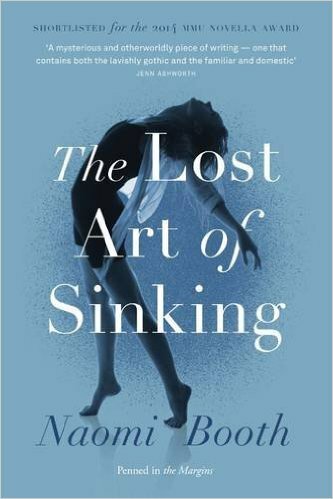 My mum and I had both read, and very much enjoyed, Naomi’s novella – The Lost Art of Sinking – and so were looking forward to attending the event: Dizzy Heights: the Yorkshire landscape and contemporary fiction. As soon as you enter the building on the ground floor you realise it’s going to be a bit special. There’s a lovely staircase where you pass by old lockers and typewriters before entering the library on the first floor. 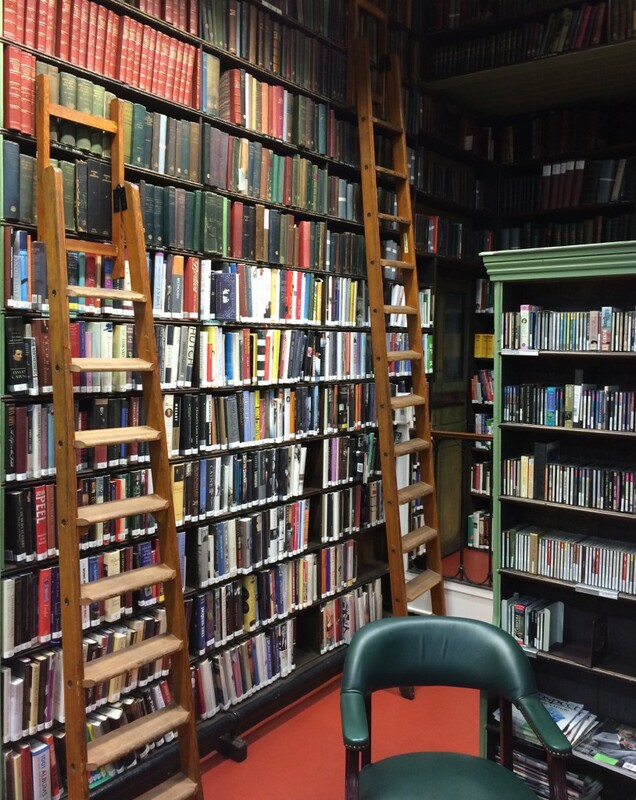 It’s like a scene from Beauty and the Beast (but on a slightly smaller scale) with ladders to get to the top shelves and everything. Mum and I spotted some cosy chairs hidden away in corners, as well as teas, coffees and biscuits to buy, so there are plenty of lovely areas to tuck into a good book and take a break from the hustle and bustle of the city centre. 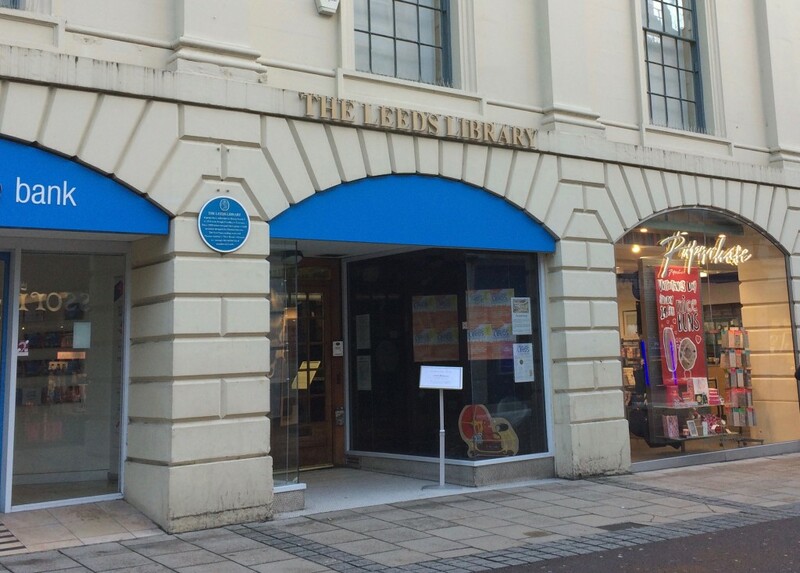 The cost to join The Leeds Library is £120 a year, which may seem a bit steep when you consider there’s another library round the corner for free, but if you’re an avid reader and adore being surrounded by books, it’s only a couple of more pounds a month than a Netflix subscription and it really is such a lovely place. 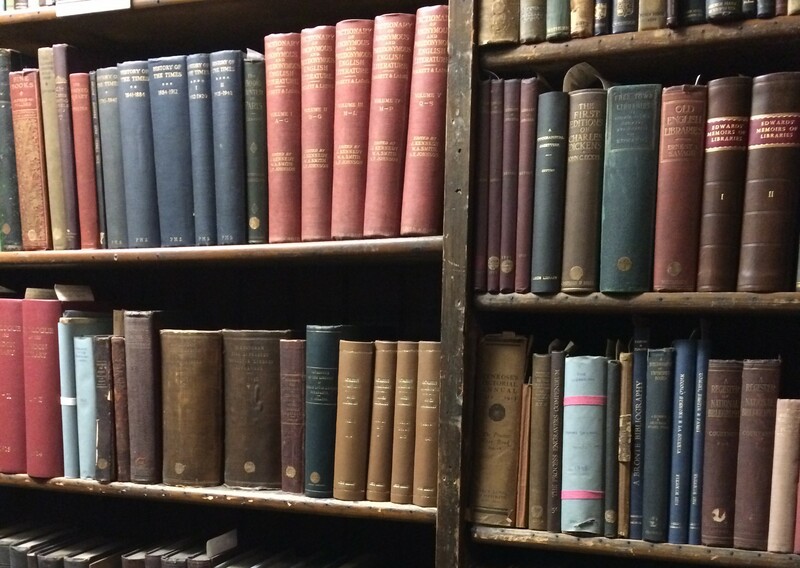 As well as various events, the library also hosts free tours, so you can have a good look round and learn more about its history. (The next one is actually this Saturday, at 10.30am). Naomi read passages from her novella, which was lovely to hear out loud, and then there was some discussion about various themes in the book and questions from the audience. I normally HATE questions from the audience (someone always starts with “I’m an author myself…” or they ask something that someone else has already asked but they weren’t paying attention and it’s very cringey) but it was actually really interesting this time. Admittedly, some of the discussion went over my head (it’s a long time since I actually studied literature – my only thoughts on reading a book now tend to be – did I enjoy that or not?) but it was still very engaging and enjoyable. I won’t be able to do Naomi’s novella justice by describing it or commenting on the themes, but recommend you read her article in The Guardian on swooning to set the scene (and of course then go out and buy the book). 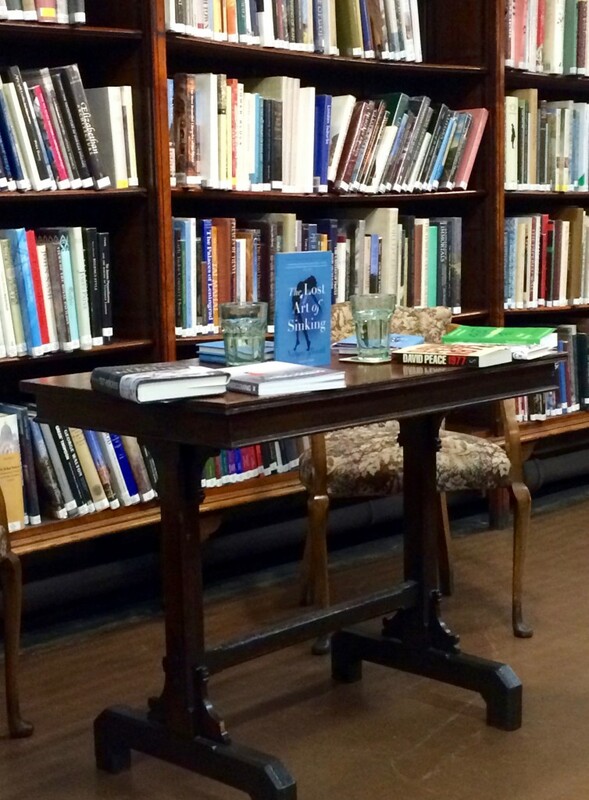 Mum and I will definitely be going to the next (Re)Writing Yorkshire talk – The landscape of solitude: writing Yorkshire, the North and beyond by Carys Davies. Mum bought the book as soon as she got home from the first event! 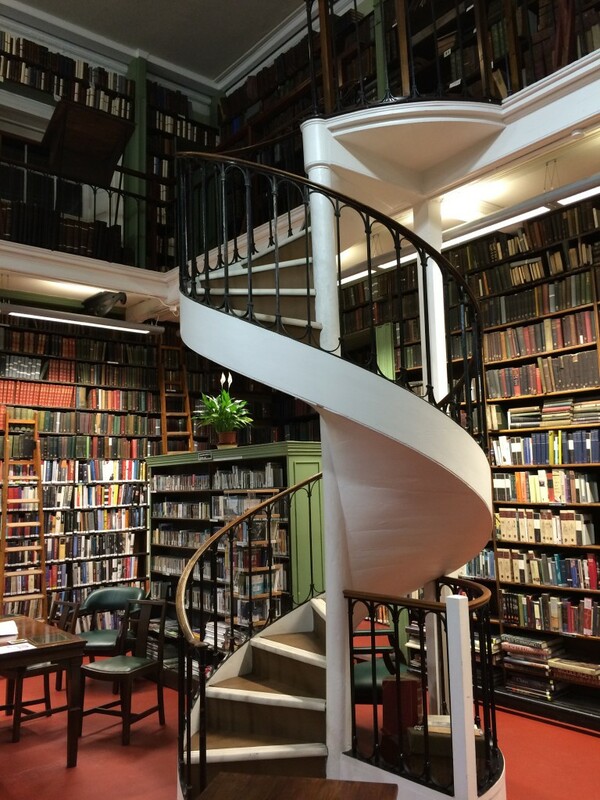 It was great to discover the Leeds Library – something hidden in plain sight; an incredible place for a bit of peace and quiet where you can immerse yourself in a different world, on one of the busiest streets in the city. 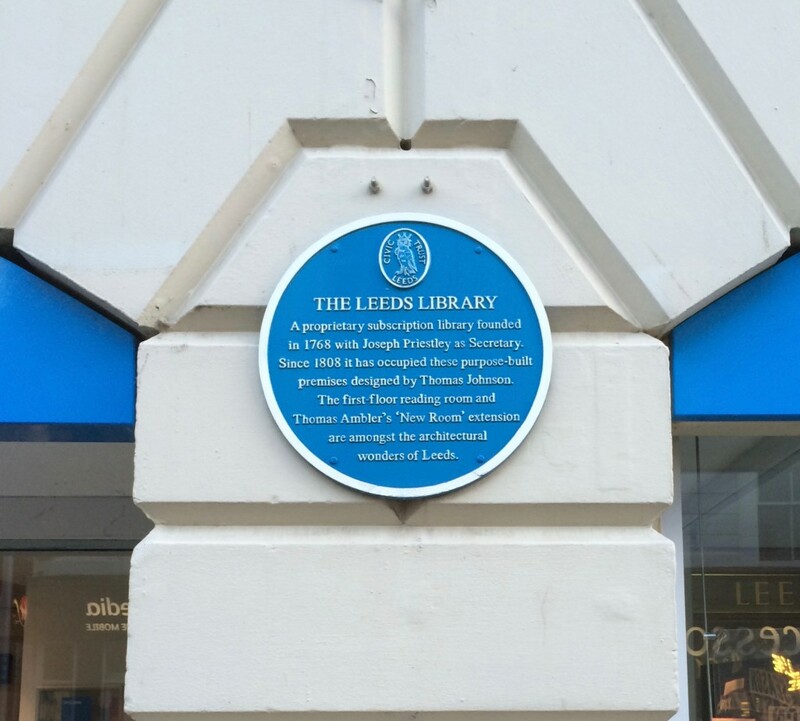 Leeds is full of hidden treasures – most of the time you just have to look up above the shops to notice them. I’d love to find some more places that aren’t obvious to stumble across. If anyone has any other hidden gems (other than the speakeasy style bars) that they think are worth a visit, please let me know! It’s exactly posts like this that make me realise there’s far more to see in Leeds than I have yet, good work!